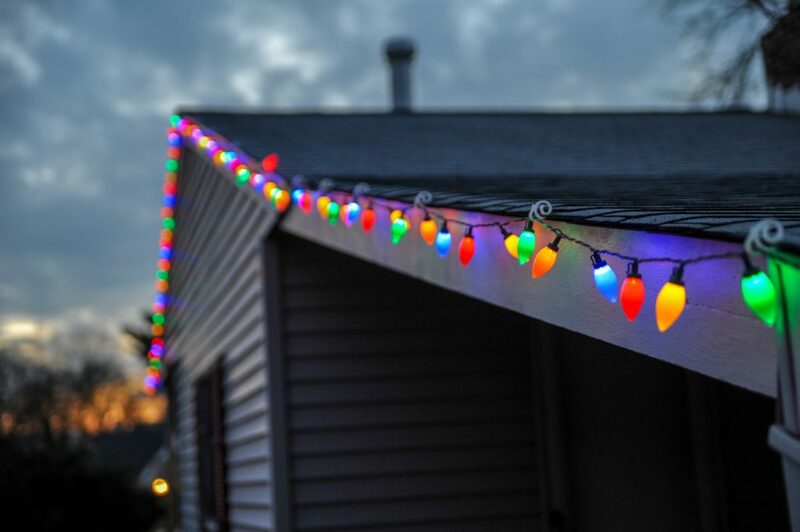 With the holidays quickly approaching, it’s almost that time of year when we’ll start to see all the festive decorations and wonderful lights that help brighten our nights as our days become shorter. For some, there’s nothing better than driving around and looking at the beautiful lighting displays and decorations associated with Christmas and other wintertime holidays. Even if you aren’t the most festive person in the world, you may still enjoy putting a little something on your home to add some color and fun to the long evenings winter provides. At Diffuser Specialist we have put together a fantastic collection of high-quality outdoor string lights that we know you’ll love for seasons to come. Showing your holiday spirit will be quick and simple for you this year with some outdoor string lights from Diffuser Specialist. We have many different options for bulb color and shape that will be sure to illuminate your home with all the holiday cheer you can imagine. All our outdoor string light sets come available in 6 bulb or 10 bulb sets and include 20-foot power cables along with hooks for easy installation. This means you can put these lights just about anywhere you want, without a hassle! These string light sets are made with weatherproof, high quality materials that are designed to last- even in harsh environments and exposed to the elements. If you are looking for outdoor string lights that will last more than just one season, you’ve come to the right place. Our outdoor string lights come in a variety of colors and shapes. Choose from the classic holiday style of multicolored elongated bulbs or go with the multicolored spherical globes which are available in smooth or glossy texture! We also have white globes of many textures, if you like a more simplistic aesthetic without as many colors. We also have red, white, and blue globes as well! These are just a few examples of the styles and colors we offer, so you’ll have to come and see them all to find your favorite! All our outdoor string lights come with the Diffuser Specialist promise of providing the highest quality products with the best customer service possible, each and every time. Our lighting experts are here to answer any questions you may have about any of our products or our ordering process. Even if you aren’t quite sure exactly what you need, we can help point you in the right direction to make your lighting project a reality. Contact us today and make this year’s holidays the best yet! Fluorescent Lighting Legislation Timeline: Are you prepared?